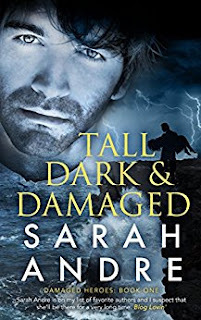 Yesterday, the finalists for the coveted RITA Award were announced, and I'm absolutely thrilled to share that among them is Sarah Andre's novel Tall, Dark & Damaged! For those who may not know, the RITA is an award for outstanding works of romance, and even reaching the finals is quite an impressive career achievement. Even more impressive is that this is only Sarah's second book. I hope you're as excited for her future as I am! Tall, Dark & Damaged is a romantic suspense that came out last summer, and I had the pleasure of editing it. Sarah is the kind of author who dives into revisions head first, accepting editorial notes gracefully and then using those notes to transform her work into a gripping read. She's a pleasure to work with, and I'm so glad to have met her when editing her first novel, Locked, Loaded, & Lying. Beyond her talent for devising twisting, unpredictable plots, Sarah also invests hours of dedicated work to ensure her stories surprise, delight, and thrill her readers. Winners won't be announced until July, but that just gives us more time to celebrate this marvelous achievement. Congratulations, Sarah! Writers often claim, whether exaggerating or not, that they are terrible with numbers. I've definitely seen this come into play when writers are trying to choose an editor while also managing a budget for their manuscript. Many questions about the cost of editing ultimately revolve around math: What's a fair rate? Should your editor charge per word or per hour? Which one ends up being less expensive? So I'm going to do some math for you! Who else is excited? For the sake of simplicity, I'm going to stick to costs for an 80,000-word manuscript, which is a pretty average word count for full-length novels. Want a visual cost comparison? Skip to the tables for developmental editing and for proofreading. Let's start with per-word rates. I've seen rates ranging from 1/2 a cent ($0.005) to 6 cents ($0.06). The lower range tends to be for proofreading, and the upper range tends to be for developmental editing. Copy editing is muddled in the middle—"muddled" because some editors will charge 2–3 cents/word for copy editing, but others will charge 3 cents/word for developmental editing. If someone offers developmental editing at a rate of 1–2 cents/word, they're probably either inexperienced, and therefore charging a lower rate, or underqualified and out to make a quick buck. Caveat emptor. The third possibility is that the hypothetical editor also did this math and saw how mercenary it is to charge 5–6 cents/word. Keep reading to understand why! So far, that's just rates. Are we ready to get into some actual math? If an editor charges 6 cents/word (the highest per-word rate I've seen) for one round of developmental editing for an 80,000-word manuscript, that comes out to a whopping $4,800. For one round of editing! It's great if your writing budget would let you afford that, but in my personal and professional opinion, that is simply unreasonable. If an editor charges a more moderate 4 cents/word for the same service on the same manuscript, the total comes to $3,200. If an editor dips to the lower end of per-word rates for developmental editing at 3 cents/word, the total becomes $2,400. But how does that compare to an hourly rate? For the sake of simplicity, I'm going to go with Touchstone Editing's hourly rate for developmental editing: $55/hour. An 80,000-word manuscript would, on average, take me (every editor works at a different pace) between 20 and 30 hours, and this actually includes a full editorial letter as well. Let's assume the developmental edit of our example manuscript takes 30 hours. At $55 an hour, that brings the total cost for one round of editing to $1,650. An hourly rate assuming 30 hours, with a rate of $55/hour, means a total cost of $1,650—a savings of $750! And don't forget, that's the higher number of hours I would expect one developmental editing round to take. The thing is, the work always takes the same amount of time, whether you are charged per word or per hour. If I spent 30 hours but charged $2,400 (3 cents/word), that comes out to an hourly rate of $80. If the editing round only took 20 hours? The per-word rate would equal an hourly rate of $120! If an editor charged 6 cents/word and spent those same 20–30 hours? The equivalent hourly rate becomes $160–$240! If your manuscript isn't a complete disaster, you should basically never be paying 6 cents/word for one round of editing. Save that money for other costs, whether other editing rounds, cover design, formatting, or marketing. Of course, as I mentioned, not every editor works at the same pace, and that's a big part of the equation. As you can see above, however, the low or "less-experienced" developmental editing rate of 3 cents/word would still be equivalent to a pretty high hourly rate. In fact, you'd have to spend over 40 hours on one round of editing to come even close to a similar equivalent hourly rate, even at just 3 cents/word. It is definitely easier to do the math with a per-word rate, since you know the total cost up front and that the total won't change. This can feel more stable. And how can you know how much editing would ultimately cost if you're charged an hourly rate? Simple: ask for an estimate. Any legitimate editor should be able to provide you an estimate that you can then use to compare to a per-word rate and make an informed decision. And experienced editors will almost always* stay safely within their estimate. *Exceptions do happen, depending on the state of the manuscript, in which case your editor should reach out and discuss options. So, what if you're afraid your manuscript is that exceptional huge mess that will take 6 times longer than normal, pushing your hourly rate total into the stratosphere? In such a situation, an experienced and ethical editor who's interested in helping you (as opposed to taking advantage of you) would likely recommend starting with an editorial letter. 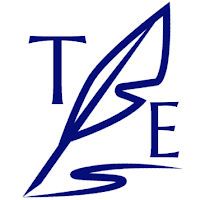 Whether they still charge per hour or offer editorial letters at a flat rate (like Touchstone does), this would be the more cost-effective option for a manuscript that's in dire straits. Bottom line: an hourly rate of $40–$60, which is fairly standard, may seem high at first glance. But when you compare it to standard per-word rates, especially when working with a qualified and efficient editor, that hourly rate turns out to be quite a bargain! Quickly, let's also do the math for proofreading. Because this is the final polish, proofreading is a much faster process than editing, so you'll notice a lower total amount of hours necessary. This time, we'll stick with just a quick table, but if you have questions, feel free to ask in the comments! Is It Really Worth the Money for a Professional Editor? Someone charging $100 for a complete developmental edit isn’t doing you a favor by charging a fraction of the price that other editors would—they’re actually swindling you. The same thing goes for someone you haven’t worked with before who promises to turn around your manuscript in a day or two. That might sound great, but if they’re rushing through it, they’re not giving it the attention it deserves; and if they’re willing to work for almost nothing, they’re either inexperienced (and desperate to get some experience) or unqualified (and desperate to get business any way they can). As with so many things in life, if an editor’s rate sounds too good to be true, it probably is. Don’t cut corners on something this important. There are industry standards for editing, and if you think you’re being charged an exorbitant amount, you might be right. The Editorial Freelancers Association (EFA) has rate guidelines publicly available on their site, for example. These are intended to be rough guidelines, but if someone is charging you $100/hour for copyediting, a quick glance at the EFA’s site will tell you that that price is way too high. I know it can be frustrating to be told not to underpay and not to overpay. And at the end of the day, money doesn’t grow on trees and you need to pay rent. We’ve all been there. But this book is important to you, right? Otherwise you wouldn’t be considering this investment at all. Even professional editors hire editors. It doesn’t matter how great you are at editing, there are things you just won’t catch in your own work. Think of an editor like a manuscript doctor. Even though you’re perfectly capable of diagnosing routine things like colds throughout the year, you still go to the doctor for an annual checkup, or if something unusual crops up. You might be generally healthy, but you still want to see an expert to ensure that you haven’t missed anything—like what if that no-big-deal recurring headache is something much more serious? Even if you were a doctor too, you might not recognize your headaches as a sign of something more. You need that outsider’s perspective to catch things you’ve overlooked. Still not convinced? Maybe you’re wondering what a professional editor might catch that your beta readers wouldn’t. 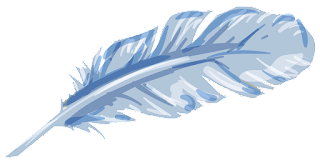 In many cases, this free sample will only be an edit of a handful of pages, but often that glimpse will be all you need. Don’t hesitate to ask for a sample edit from any editor you’re considering. Nobody’s going to judge you for asking, and if they refuse, you might not want to work with them anyway. 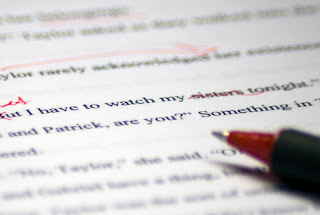 Is something else stopping you from hiring a professional editor for your manuscript? Let us know in the comments, and we'll address your concerns.